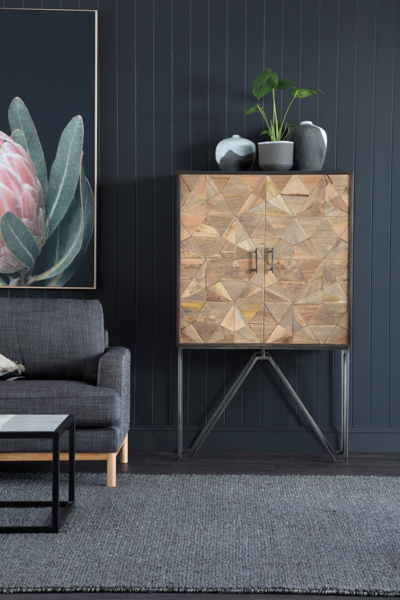 They’ve been the after-thought of the interiors world for the longest of times, but buffets are increasingly playing a starring role in the home, with their ability to add instant storage. Falling smack bang between function and form, there’s a buffet to suit almost every space. No matter what your style you’ll be able to find a piece to suit. Just be sure to get something that will fulfil your needs, whether it’s aesthetic, storage space, or something else. Taking centre stage in the dining room, a buffet can offer space for special occasion tableware, and double as a serving space for drinks or desserts. In the lounge it can be the pedestal for a statement lamp or make the perfect partnership with a bold piece of art. But it may just be the hallway where the sideboard comes into its own, adding a powerful punch to this long, lean laneway of the home.